nick from ashford. i just got a 88 off craigslist for 300 out of east hampton. wanna find some places to go wheelin around here as soon as i can trade a set of 33 inch swampers for a set of 31s. anyone close to here? Yes dan it's me Schaller. When you bringing that rig out I'm ready to go Wheeln anytime just let me know. Were working on that rock trail up the river at the house. If anyone around here want to put there rig to the test leme know and come test it out. If anyone around here want to put there rig to the test leme know and come test it out. looking forward to this pretty soon after reading your post. If you need help checking the trails in the mean time let me know. and Im Dan from Meriden. Stock w/ no brakes and a few cosmetic issues (Door falling off). Hopefully will be starting to piece together a lift pretty soon though. 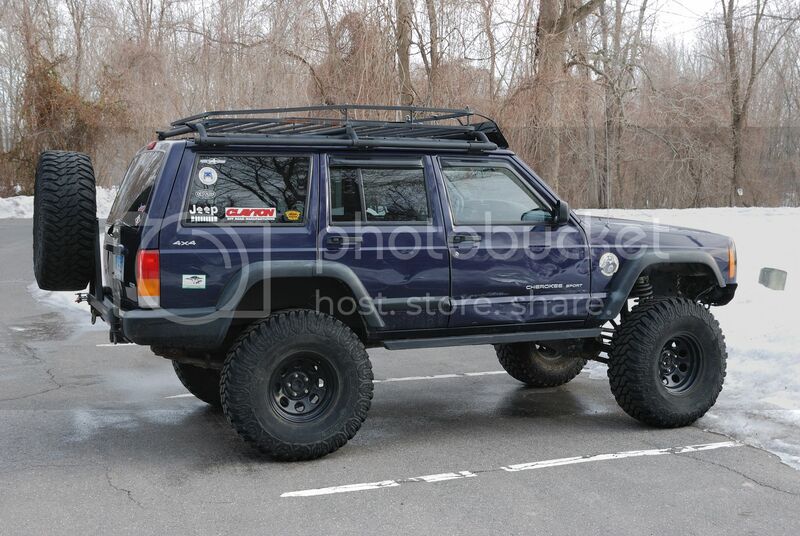 Seen a few lifted xjs round here particularly a lifted blue one on 33s (might've been Gorilla_Skater), and a Red one with an ARB bumper on the putnam bridge (rt-3) every morning they're working on it. Speaking of illegal wheeling anyone have any experience with the clubs around here? I would love to try my jeep out! Let me know I would like to take a ride n go on trails that are legal lol. I'm Nick from newington got my 99 Classic XJ about 6 months ago. Just got the new lift and accesories sorted out. we looking good for a little get together in a couple weeks?